Okay, so you are either looking for a new betting agency or you are considering signing up with one for the first time. If you are looking for up to date and accurate information on Betstar, one of Australia’s biggest online bookies, then you are in the right place. Whether racing, sports or novelty bets are your thing, Betstar has you covered. Our in depth and impartial Betstar Review will provide you with all the knowledge you need. Bought from the Eskander’s by Ladbrokes in 2014, Betstar is one of three online Australian bookmakers owned by the European giants. Betstar offers punters the opportunity to bet on all of the country’s favourite sports, including AFL, NRL, cricket, tennis and horse racing. To find out more about what Betstar have to offer just keep on reading below. 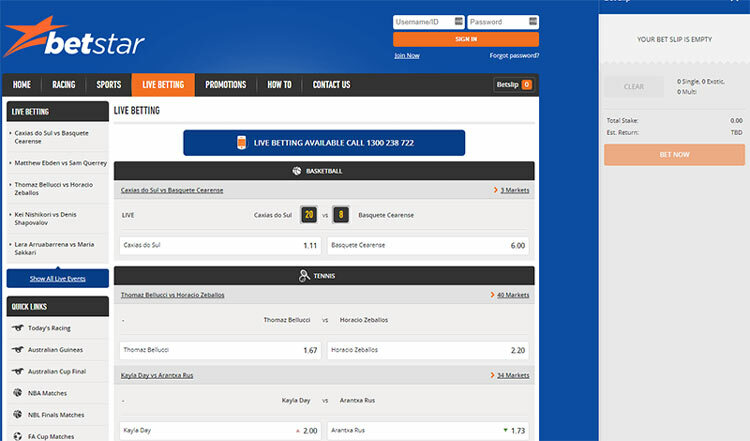 A wide range of markets available on horse racing, sports and novelty betting. Betstar card allows instant access to winnings. Odds could be a bit more aggressive. Back in 2007 a pair of father and son owned independent bookies merged to form Betstar. Michael and Alan Eskander’s new venture grew quickly, and by 2009 it was one of Australia’s fastest growing businesses. In April 2014 European giants Ladbrokes Coral paid $22 million for Betstar as they looked to expand into new international markets. Betstar is one of three online betting companies in Australia run by the British company now, along with Ladbrokes Australia and Bookmaker.com.au. The current chairman of Ladbrokes Australia (and Betstar) is Jason Scott. Owned by one of the best known and well-respected betting companies on the planet, Betstar are well worth taking a punt on. When you sign up with a bookmaker you usually receive a bonus bet as a reward. Betstar’s bonus bet offer is a very substantial one and it measures up well against their industry rivals. If you do decide to open an account with Betstar you will receive a bonus bet matching your first deposit up to a maximum of $250. The headline offer is $100 but when you go to open an account Betstar will automatically apply a promo code to increase the bonus bet to $250. Check out our step by step guide on how to get your Betstar sign up bonus bet below. Click here to open an account with Betstar. Make your first deposit (minimum of $10). Betstar will match your first deposit to a maximum of $250 in the form of a bonus bet. (exc VIC, NSW, WA, SA). Bonus bets can be broken down into four separate wagers. Balance must be turned over once for winnings to be withdrawn from bonus bet (stake not included). Another important factor to consider when joining a new bookie is what sort of promotions are available to existing customers. This is an area where Betstar are sadly lacking in comparison to a lot of their competitors. They do run some promotions, but nowhere near the amount that sister company Ladbrokes run. However, BetStar and its counterparts have always been on the traditional side when it comes to bonus for existing customers. It's like they know that punters value this and that this is important to them. Most of the time there's a traditional cash back promotion available, and it's not uncommon to get an offer on NBA, Rugby or even Horse Racing. We can discuss their past promotions, and evaluate their qualities, but stating any details is wrong, as they change before this information can get the attention of people who need it. 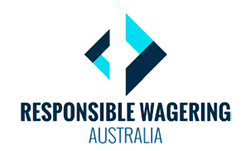 Online in-play betting is outlawed in Australia due to the Interactive Gaming Act, but bookmakers can still display in running odds. Although you cannot take those prices on your desktop or mobile device, all you have to do is pick up the phone to bet in play with Betstar. You can call Betstar on 1300 238 722 and you can place your wager that way (minimum stake $20). Open an Betstar account by clicking here. Head to the ‘Live Betting’ section of the website/mobile app. Find the bet that you wish to make and the odds you want to take. Call 1300 238 722 to place your bet (minimum stake $20). How Good Are Betstar Odds? When it comes to value and generosity of odds, Betstar has room for improvement. Their prices are usually the same as, or similar to, their sister companies Ladbrokes and Bookmakers.com.au. This is the case for the vast majority of sports, and we will go into more detail on the odds they offer on horse racing later on. To illustrate the pretty significant difference between the odds on offer from Betstar and some of their industry rivals we looked at the odds for a recent A-League match between Melbourne Victory and Brisbane Roar. Betstar’s book on the match had an over round of 107.36%, whereas Bet365 Australia’s over round was 105.1%. That is a difference of over 2.2% and it demonstrates that Betstar like to stack the odds in their favour. These days, the ability to bet on the move is a key consideration when you are trying to find your ideal bookie. No matter what your device you can bet on the go with Betstar via their mobile site and mobile apps. Their android app can be downloaded direct from the Betstar site and it works on all recent android phones/tablets. Those with Blackberry, Nokia or Windows devices can use the Betstars web app by visiting the site on their device. Open a Betstar account by clicking here. Visit the Betstar Site where you will find links to download the free mobile app. Click on the link and the App will download to your android device. Install, log in and start betting. If you use an iPhone/iPad/iPod Touch just head to the App Store and you can download the Betstar Mobile App for free. 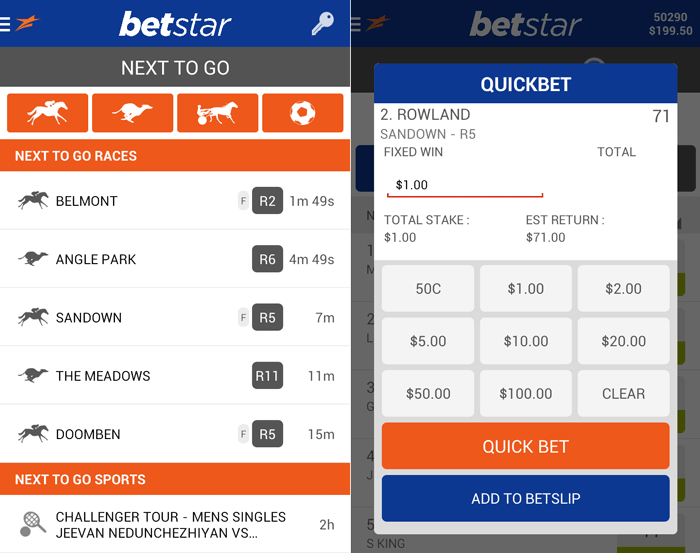 For iPhone/iPad/iPod touch users IOS 8.0 or later is required to run the Betstar App. You must be at least 17 years old to download this App from the App Store. Follow this link to open an account with Betstar. Go to the App Store and search for ‘Betstar’. Download the free Betstar App (IOS 8.0 or later). Install, log in and bet on the go. Horse racing is one of the nation’s favourite sports and Betstar take their horse racing betting very seriously. Betstar offer prices on all the best domestic action, including Australia’s biggest race The Melbourne Cup. They also cover all domestic, European and International meetings. Similar to their sports betting odds, their racing odds are below average in comparison to their competitors. No matter what sort of wagers you prefer to place on the racing, Betstar more than likely has you covered. Whether your preference is to keep it simple with win, place, full fluc or each way bets, or if you prefer to mix it up with quinellas, exactas, trifectas, quadrellas or First Four wagers, Betstar cater to all your betting needs. Some payout and bet limits apply when betting on horse racing with Betstar and we examine those in more detail below. Another unique feature available exclusively from Betstar is the ‘Pick Your Own Odds’ option. Punters simply pick the horse they think will win, then select whatever distance they think the horse will win by. Betstar will come up with a suggested price, and you can choose whether to accept or reject it. The minimum distance is half a length and it goes all the way up to a maximum of 10 lengths in quarter length increments. If your horse wins by more than the winning distance specified Betstar will pay out within half an hour of the conclusion of the race. This is yet another innovative way you can win big with Betstar. Instant Deposit/Withdrawal Methods: Credit Card, Ladbrokes Card, PayPal, POLi, Flexepin. Banking Facilities should be another important consideration when you are deciding which is the best bookmaker for you. Betstar have a wide range of options for either depositing or withdrawing your winnings. The instant deposit methods include Credit Cards, Betstar Card, PayPal, POLi and Flexepin. Non-instant methods include bank transfers and BPAY. When withdrawing money from your account most of the above methods can be used except for credit cards. There is only one way you can instantly access your winnings and that is by using the Betstar Visa Card. Withdrawals via bank transfer and PayPal usually take between 2/3 days. You must verify your account before making any withdrawals, and to find out how to do that just read below. Open a Betstar account by clicking this link. Go to the ‘My Account’ section and select ‘Verification Centre’. You will be asked to provide an official ID document. These include Passport or Driving Licence. Another document is required for proof of address (e.g. Medicare). If your details check out, your Betstar account will be fully activated. Max pay-out of $500k on sports or sports/racing combined multi bets. Max pay-out of $500k on any bet subject to Betstar terms and conditions. Stake limit of $10k on ‘Pick Your Own Odds’ wagers. Max pay-out of $25k on ‘Pick Your Own Odds’ wagers. Win limits for racing can vary massively with Betstar. At the time of writing (Feb 2018) the below figures were the correct Betstar win limits on racing. The importance of providing swift and courteous customer service cannot be underestimated. There are a number of ways customers can get in touch with Betstar, including via all the usual avenues like email, telephone or post. If you are not satisfied with the outcome you can escalate matters via the Betstar dispute resolution process. If you want to get in touch with Betstar you will find all the relevant numbers and addresses below. Telephone: 1300 238 782 (AUS)/ +61 7 3350 0782 (INT) (7 days 8am-11pm QLD time). Address: 461-473 Lutwyche Road, Lutwyche, QLD, 4030. Email: [email protected] (aim to reply within 48 hours). Is Betstar A Bookmaker You Can Trust? When you sign up with a betting company you have to part with a lot of sensitive personal information. For peace of mind it helps to know that you can trust your chosen betting agency with the info, and also with your hard earned dollars. Betstar is owned by Ladbrokes Coral and they have decades of online experience behind them. They take a plethora of measures to ensure your money and data is kept safe and we list some of the most important ones below. Betstar will store data securely and it won’t be kept longer than is necessary. Password protected databases and systems. Tightly restricted physical access to offices. Secure servers using high-level encryption minimize the risk of unauthorized use of information. Betstar wants customers to enjoy themselves, but they try to ensure that punters play responsibly. It is always refreshing to see a bookmaker proactively promoting responsible gambling, and Betstar do just that. Sometimes gambling can get out of hand, and Betstar have a number of tools that can be used to help you if you feel your betting habits are having an adverse effect on your life. The fact that you can set a deposit limit on the sign up form shows that Betstar take responsible gambling seriously. Below are just some of Betstar’s policies to ensure you gamble responsibly. Allowing customers to set a pre-commitment or deposit limit. Allowing customers to self-exclude (either temporarily or permanently). Providing Responsible Gambling information and messages. Training staff about Responsible Gambling at induction and at least every 2 years. In conclusion, it is fair to say that Betstar has a lot going for it. Yes, there are strengths and weaknesses, but overall the former far outnumber the latter#. For us, the areas in which Betstar could improve are in customer service (improve response times), and the inherited from Ladbrokes underwhelming betting odds. We're not saying they're so poor you should look the other way, but they could use a small boost, which will be of great importance to all BetStar customers. However, the Betstar Card (instant access to winnings), their ‘Pick Your Own Odds’ facility, their generous maximum pay-outs and admirable approach to responsible gambling are just some of the very many positives. Most importantly of all, Betstar is a bookmaker you can trust and if you are thinking about signing up we wouldn’t put you off. Home-grown and home-raised, this bookie is an expanding firm that came into being around 2007. Originally a family business, it now supports over forty staff, divided between their offices. With annual revenues of $275 million per year, it certainly started as no small fish in the bookmaker’s ocean. Established in 2007, this bookmaking firm is located and was started within Darwin and Melbourne. Father and son bookmakers, Michael and Alan Eskander, had both been operating as separate bookmakers when they decided to merge their two businesses together. By October 2009, the Business Review Weekly Fast 100 Company – which ranks companies according to their average annual turnover expansion over a three-year period – announced Betstar as a BRW Fast 100 company. In 2014, the conglomerate giant Ladbrokes bought over the firm and the rest, as they say, is history!